Part of the best-selling Signature Collection, the Reach Floor Lamp by Heathfield & Co features a bold arched design with a striking sense of scale. 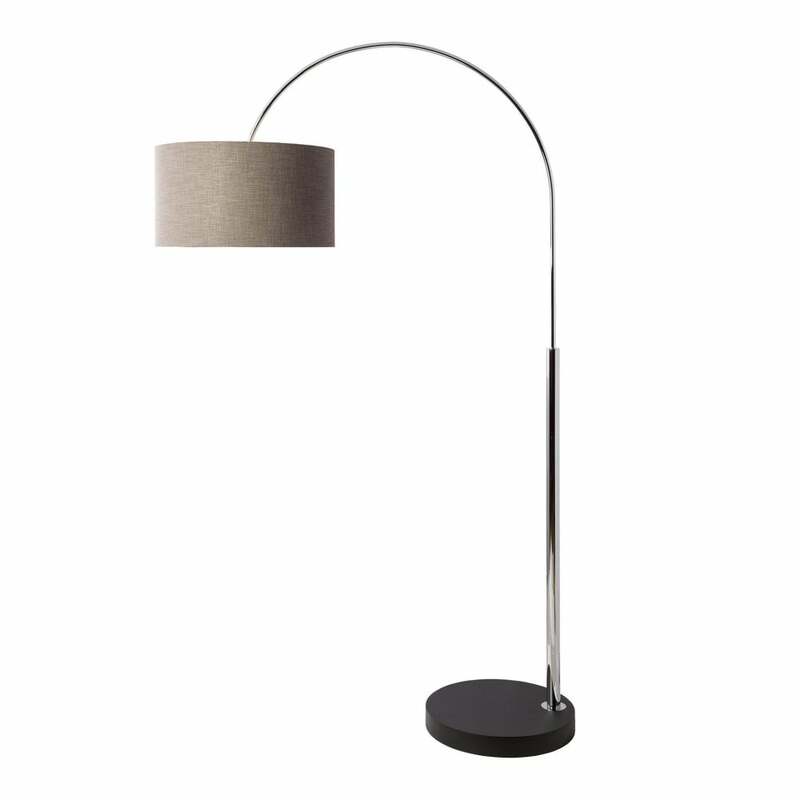 This contemporary floor lamp is crafted with radiant chrome metalwork to create a sleek and sophisticated look. Inspired by mid-century modern interiors, the lamp is complemented by a matt black, wooden base. This contrasting material provides texture and interest bringing depth to the design. Place next to a sumptuous sofa or wingback chair to create the perfect area for reading and relaxing. Priced for 20" Flat Drum shade with silk outer and white pvc lining. Other options available.